CDAC’s common campus placements take place twice in a year for each batch (ie Feb Batch and Aug Batch), More than 1000 candidates appear for this placement program (From diff. institutes: like Sunbeam, CDAC Acts, IACSD, INFOWAY etc.) and around 200 companies come for recruiting candidates which include some of the big giants like CDAC RND, Cybage, Nihilent,Global SAAS, Manhattan, Opussoft, Polarisft, Barclay’s, Syntel and other reputed companies. Average package is around 3 lac. But the most imp thing is that how to get placed in such an big program when so many students are there to compete with you. When this placements season starts at CDAC each and every student is at same level, Every body has done same amount of study, students worked hard for those 5 months to get placed. Students start getting placed right from the day 1 while some students fails to do so and then starts a time of frustration. Keep Your Head COOL: People around you will start getting placed and some times you may fail to do so, Just don’t get frustrated, keep your head cool and calm and keep your hard work on never loose hope during this phase. Start coding and practicing more: While you are going through your concepts and understanding them, It may happen that you may fail to keep all those concepts in your mind, Best way to persist those concepts in your mind is to start coding, What ever is the concept just make some scenario and make code for that, You may stuck at any point but not to worry because this is the best way to learn. Practice in front of mirror: This is the most important practice because most of the times it has been observed that a candidate is low on confidence, He knows every concept but fails to express in interview. Q: My academic record is not good, Will I get enough calls to get placed in Placements ? => Life can be tough for you in placements season, But you just have to keep your head cool, You will get many calls to get placed though some extra effort is required from your side if you can prove your self worth in front of them you will surely get placed Because at the end of the day its your knowledge that matters not your academics. Q: I Have Gaps in my study, Will it have any impact on my Placement ? => You may get some less calls as compared to other students but companies that will call you in their recruitment process had already considered students with gaps in their mind and that will surely not have any impact on your interview, You just need to be smart enough to answer when asked about that gap. Q: Which project should I choose JAVA or .Net ? Will java candidates have an edge over .net one’s ? For IT CS guys, Try to choose a language that you have chosen in b.tech/BE project it will help you. Q: My Communication skills are not good, Will it impact my placements? Suggest some tips ? => This is the problem with many people, But not to worry , It may happen that you are not able to speak a flourishing english and doing grammatical mistakes but the main thing is that you should be able to express yourself in interviews, Be clear on what you are saying, try to frame a sentence in mind before speaking, don’t speak too fast, take necessary breaks in between, and ultimately u’ll be able to speak a decent english. How to download Torrent Files From IDM ???? i am 2013 with some experience in small company is it beneficial at the time of placement . will i get more chance as compare to student with same batch but do not have the experience . I am a 2014 passout.I had 1 year drop in 1st year while i was pursuing BE Computers from Mumbai University.My aggregate is low that is 53%.I had given C-CAT exam on May 15 and have got a 13th rank.I hope i will any center i want.But after completing the course will companies even allow to sit for aptitudes?because i think my aggregate is very low,or are there any NO CRITERIA companies as such. So if i dont get a chance to sit for companies my course will be a mere waste.So should i opt for PGDAC or do something else other than CDAC. My rank is 235 for pgdac and I think I will get cdac pune. My c,c++ concepts are not clear neither the concept of java and I don't know much about programming as it has not been my strong point. Are they gonna teach everything from scratch or I do need to study the basic of languages and programming before doing the course ? and will my lack of knowledge affect my future in this course ? due to some reasons my engineering degree is not good…i had 23 arrears in engineering and my degree was completed in 4.5 years..my final aggregate ws 67…10 th n 12 th scores are 82 and 70…i had a year gap after 12th and 6 months gap after engineering..i m planning for dac august 14 batch…i m really gud at programming and great communication skills…sir if i perform good in dac ,then will i be able to appear for a respectable organisation or doing dac is a waste fr my profile..kindly answr me and if possible plz give ur contact no…plz it's genuine request to evrybody..kindly help me in making a gud decision…my email is [email protected] ..
hi gaurav sir…this is utkarsh…with reference to my previous post…sir can u plz tell me dat will i get to appear in any respectable organisation inspite f my semester back in engineering? hi i have taken ditiss at cdac pune .. can u tell me how are the placements of ditiss at cdac pune i am getting mixed reviews about this course. Will there be sufficient opportunities for ditiss people at CCPP. What i mean to say is do companies come to CDAC Pune with information security job profiles ?? Thanx in advance. sir can you please suggest me PG DAC can help me with this profile? and will i be able to get any placements . Best way to get job is to first attain enough knowledge and then apply .. Best Of Luck …. Here is one suggestion for you, Kindly start working hard right from today and try to get good AIR – CDAC rank below 500, Post which you will get one of the best centres and your chances of getting placed will high. 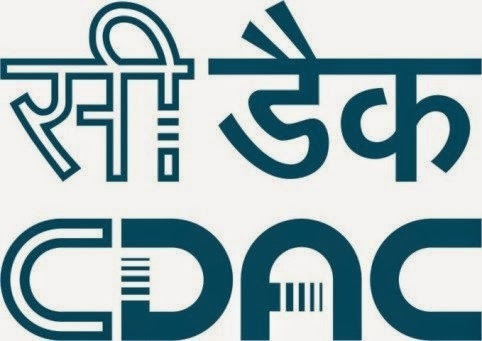 As far as your percentage is concerned, Well you lie below 60 percent which means you might not full fill the criteria of 20 percent companies visiting CDAC, But for rest of 80% companies you are elligible, So don't worry, Go for CDAC, definitely you will get job. All the best. Hi..I have got 387 rank in A+ B section and 16420767.earntalktime.com 111 rank in A+B+C section..now I am confused that for which course I would have to go..either DAC or Embedded?..and which centre is good for teaching and placemnt…my agregate is 60.87 %..plze give me your suggestions n help me.. Hi..I have got 387 rank in A+ B section and 111 rank in A+B+C section..now I am confused that for which course I would have to go..either DAC or Embedded?..and which centre is good for teaching and placemnt…my agregate is 60.87 %..
For DESD which centre is best?? plze give me your suggestions n help me..
Hiiiiiii sir…m completed be extc from mumbai university my agg. is 53% and last yr performance is 60%…but i had 2 yr gap when i was in first yr…my 10th n 12th score is 79 and 55…my interest is to join the DITISS…bt is there problem for placement bcoz of my gap…and other.. It will impact the number of calls you will get.. But then you will have ample number of opportunities in CDAC… In ccpp.. Around 200 companies come with different criterias so you will definitely fit in some criterias and will get many chances to get placed… In CDAC please focus on your cpt marks.. Work hard… Success is waiting for you..
Hello…I am a BTech pass out of year 2014 and after my pass out I was involved in some internship for one year and job of almost another year. Now I want to join cdac for next December 2016 batch.. How much I will be facilitated in placements in 2017? Which centre will give me more opportunities Bangalore or Pune ?? As per my experience, If you get good marks and have good competitive spirit, you should go for PUNE, ACTS or sunbeam, as you will get more exposure there the reason I am saying pune is, Quality of knowledge that you will gain there is very good as compared to banglore. Hlo sir my name is Nilesh. I have completed graduation BE from electronic and communication stream with maintaining 60 throughout. I have been searching for a job in last one year but couldn't get it. Now I want to join cdac in 2017 Feb batch. So I would get a placement call or not? ?? ot? becouse i dont have good academics ? Hi Nilesh, As per My personal experience, Students having EC as their background do better then IT CS guys, So You have an edge over other guys here, Now since you are searching for job since last 1 year, Question here arises is in which sector you are searching for JOB, If it is "IT" then probably you are not prepared well, My suggestion to you is, "Start preparing well for CDAC entrance Exam", "Get Good rank" "Get Good institute" surely you will get good calls, and placement. This is the case with most of the students who are joining CDAC, As per my experience If you core concepts are very strong, Then no one can stop you in getting job, Main thing is that, Once you join CDAC, you need to work really work hard in order to get good marks in CDAC's internal exam, Because since your academics are not so good, hence only those internal marks can help you in getting calls. In short, Prepare well, Get good CDAC center, Work Hard in CDAC, Get Good marks in CDAC, Get good calls, Get Placed. I am a 2014 ECE passout with 1 year of experience in Testing. I want to know if I should try for CDAC Feb 2017 batch or Aug 2017. As I feel that my preparation is not yet good for the feb 2017 batch. Will it be too late if I could not secure good rank in Deccember 2016 exam and try again for next batch? Sir, i am 2015 pass out and 2 years of gap because of competitive exam exam preparation. I have 85% in 10th and 85% in 12th and 70% in electronics and telecommunication engineering with no gaps and backlogs. I am planning to join c-Dac in August 2017. So please guide me before taking the decision. Hi I am 2011 passout cse UPTU. and worked in bpo till now , 4 companies and 3.5 yrs approx. Is it beneficial if I join cdac in 2017. I had some psychiatric problem .. even now also I am on antidepressants…. Hello, I am BEextc student having aggregate 65.54% and 61.4% in BE 2015. My ccat December 2016 A+B+C rank is 532. I have one and half year gap after BE. Will I get any problem during placements? Hi I am masters in engineering in vlsi. I am 2013 pass out. Will there be any benefit of doing cdac from DESD. As I want to switch to embedded systems. Will there be any possibility of placement opportunities for me. you might not get fit in some companies criteria, because of 2 years gap, But that seriously does not mean that you will not get placed in CDAC, I have seen students getting placed those who are having more than 5 years of GAP. So dont worry and go for it. Definitely you will be benefited by pursuing DESD course, You will gain a lot during the course of CDAC and that difference you will feel once you complete the course, You will be standing out of the mob with a different kind of attitude and confidence. which course you want to pursue ? Yes you will definitely get calls if you score good in CDAC exams, You might not get fit in some company's criteria, but as far as I know you will get ample number of opportunities that will fix your place any good company. First of all, Stop worrying and start doing, There huge number of opportunities that are waiting for you, you just need to explore the one for you. Coming to your academic record, You are having very good score and that will definitely go in your favor, Since you were working in bpo's and already having 3.5 years of exp. you should not be worry about this at all, In my opinion you should go for CDAC, I am saying this because I have seen people getting placed those were having more than 5 years gap, and they were doing nothing, You already have done job, no matter if it was a BPO, its just because situation demanded and you had to do the job. I believe, At the time of interview, If you are able to present yourself in a positive way, and convince the interviewer you will get JOB, Just stop thinking negative. I already got sunbeam pune for desd. I am joining it at 15February. Will I get any problem due to one and half year gap after BE due to GATE preparation. I m 2014 passout and now persuing PG dac from sunbeam in Aug 2016 batch..There is 2 years of gap after my btech .In that period of time I was preparing for the competitive exam,but unfortunately my luck was not with me. So I decided to do cdac ..I wanted to ask what to tell about my years gap..Can't tell about the competitive exams,it give bad impression..Can you please suggest??? I have been allocated CDAC,Noida for DAC.Tell me about the placements and teaching out there. Or shall I opt for Aug 17 batch.Please reply ASAP. CDAC Noida is not good if we consider the quality of education as compared to top centers in Pune or Banglore. First of all I would like to congratulate you for getting Sunbeam Pune. Secondly, I can say that your luck is with you only that you have decided to join CDAC. I personally believe that you should stop thinking about this 2 years GAP, rather focus on you studies in CDAC, I am sure that you will hardly get enough time to think about all this, Just focus and work hard, Get good marks in CPT exam and crack interviews. you have invested 2 years while preparing for competitive exams, those two years are not wasted at all, I am sure you must have learned something in those two years, Doesn't matter if you have achieved end result or not, thing that matters most is that you have gained an experience for life, and some mistakes that you did at that time, you will never repeat those again, So use that experience in CDAC, Work hard, After six months you will feel the difference, A whole new world is waiting for you. Shall I prepare for Aug 17 batch?Give me advice. I would suggest you to start preparing, Work on your programming concepts, Reasoning abilities and other areas where you believe are important and you are not having much confidence in. Mean while start attending job fairs, off campuses and job interviews via other sources, Don't worry if you are failing, At least you will get into a habit of giving interviews. In short, While preparing for CDAC AUG batch, You might find yourself fetching a job, Since only thing required for getting JOB is knowledge, No matter you get it from CDAC or self study. And if in next six months you are not getting any job, Join CDAC then. Start today, Make some time table, Bring in some discipline, dedication, No one can stop you from getting a JOB. For any further suggestions, Do revert on this same thread. Hi, I m 2012 passout. Started working in an IT MNC from August 2013 to January 2015. took a gap of 2 years for competitive exam and got selected in few exams but couldn't join.Now i want to pursue Cdac course in Aug 2017 batch. I have good academic record. Only problem is of 2 years gap, which will become three years gap by the time i apply for placement in Feb 2018. Will i get placed? and how much package i can expect? Only one thing that I can assure you is that, You will get many opportunities in CDAC for placements, So Don't worry about your 2 Years GAP. Your package totally depends on company that is visiting and the kind of profile they are offering, If your previous experience matches their profile, then it will be counted as a relevant experience, then you can expect a slightly higher package then other freshers will be getting, else it will be same as others. Just keep in mind that you need to work very hard in order to get good marks in CDAC, That will help you in getting calls for placements. Supriya you will surely get placed, All you need to do is work hard in CDAC CPCT exams, Get good marks so that companies can short list you. Work on the basics, Any thing you learn, Just think about what, why and how. Do share your success story with us. hello sir my name is pratik and iam 2016 passed out in electrical engineering. i am thinking to go for CDAC DAC in august 2017, so it will create 1 year gap at the time of placement will i get good oppurtunties though.my aggr is 57% and i have done certification course in java and have good knowlede of C, C++,java and also have interest in programming and want ot do a career in IT companies so should i go for it or not? Hi I am 2014 IT passout.First i tried for gate exam but i didnt clear ,then i got job around oct 15 dey hire me as traine engineer but afterwards dey shifted me to backend due to that i left after 6 months and after that i am not getting job mostly on hold.So i am thinking to give cdac exam as it might help technically for me but m confusd now due to gap.does it will effct me during job selection ? We will suggest you to join top CDAC centers in pune or banglore, and then work hard CDAC and get good marks . One issue with you is that you do not have 60 percent marks, but that is also not a big issue if u get good marks in cdac exams. Some companies might not shortlist you in initial days of placements, but there are many comoanies that visits cdac that considers cdac marks, Basis that they shortlist students. So, grab this opportunity and work hard. For any other further queries please do comment. One thing that I can very confidently say from whatever you have explained is that, you are very near to your dream job, And my suggestion would be, that you join CDAC and work hard there. Gap is not an issue, Companies will pick you if you have knowledge and are able to present yourself effectively in front of them. thanks team technorants point. i also have one concern being electrical engineer is any problm for me? Hello sir my name is dipak.I have completed master of engineering in ECE year 2016 and I want to do cdac course in Aug 2017. One of the major challenge that students face during cdac is lack of proper planning while going for interviews. If you have prepared well fir the interviews, no body can stop u then. Work hard on ur technical skills as well as aptitude and reasoning skills. Take every activity in cdac seriously. There is a very good saying "Follow your dreams and the universe will open the doors for you where there was only wall". So, if your son has decided to do embedded course, I would suggest you to let him do, you just need to support him, If he feels that he is comfortable in that field. Only important thing you need to take care is, Just make sure that choosing embedded course is actually his choice it shouldn't be like he is choosing it just because someone else has chosen it. CDAC Pune is having Two very good CDAC centers ie. CDAC ACTS and Sunbeam Pune(Gultekdi). You will get CDAC acts above 400 and Sunbeam above 900 Rank. Hello Sir, I am 2014 passout student and I have 57 % aggregate in BE. I want to take admission for Aug 17 C DAC batch. But I want to ask does career gap of 4 year will it matter at the time of palcement? I have worked in IT company for 1 year but I don't have an experience letter as I am unable to complete bond period and I left the company because the payment was very less ie. 7000. So pls suggest me should I do CDAC or not in Aug 2017 as I am 2014 passout. Sir I just got my result of CDAC , my rank is 1189 , will I get dac at sunbeam Pune ?? If no suggest some other best institute because I am 2016 passout and I can't wait for December to reattempt c-cat paper . As you have worked in IT company and you have work experience, So that will definitely help you in placements. You can go for PG DAC course and there will be many opportunities provided to you for placements, 4 years gap will impact your calls that you will be getting for placements, But still you will get enough calls that you will be placed, Just make sure that you get good centers in pune or banglore. Tell me about Sunbeam Karad. With your rank it's possible to get Sunbeam, you might have to wait for second counseling. Sunbeam has the best faculties. Waiting for second couselling what to do suppose if at 1st counselling I get KARAD then is there any option to go 2nd couselling. Sir at 2nd couselling is there any seats vacant at Sunbeam pune in last previous batches. HELLO SIR,I AM M TECH EC 2012 PASSOUT. I WAS IN THE FIELD OF TEACHING FROM LAST 3-4 YEARS.I AM NOT GETTING SATISFACTION IN TEACHING SO I WANT TO JOIN CDAC. TODAY I GOT CDAC PUNE FOR PGDVLSI. NOW I AM REALLY CONFUSED ABOUT THE PLACEMENT OF PGDVLSI AS I HAVE HEARD TODAY THE PLACEMENT OF PGDVLSI IS VERY LOW IN CDAC PUNE. I WANT TO ASK YOU WHILE HAVING 1 YEAR GAP AND 3 YEAR TEACHING EXPERIENCE, WILL I GET PLACED IN ANY COMPANY ON MY PRESENT CRITERIA.MY ACADEMICS 10TH,12TH, B TECH AND MTECH ARE THROWOUT ABOVE 70%. Sir I got PG DMC for CDAC acts Pune , but my preference is DAC from sunbeam , so is there a way where I can change my allotment , and I also wanted to know whether DMC is good or not in terms of career and placement prospective , I am confused whether to change or continue with the allotment . I got A+B+C=1180 .In first seat allocation I got TICA mumbai. There is chance to i ll get cdac pune in second round… For DVLSI. It's better that you to for DAC course, you will have many opportunities for placements. Yes there are chances, have you added Sunbeam pune? Sir I got ccat A+B+C Arank 410 and got seat in PG-DESD (EMBEDDED) at Sunbeam pune. My acadameics are 10th-93%, Inter-90% and B.Tech-77% in ECE Passed out in 2017 . Can u say my scope of placements in embedded field,will they provide core jobs? What should I do to crack them? And is sunbeam pune good for embedded or should i go for 2nd councelling to another institute and if so what is best institute? U want dvlsi only? No DAC? No mayur, With your rank, it doesn't look like. Surbhi, if you are lucky enough, then you might get, as there are lot of factors controlling the allocation. If enough people are leaving their seats, then YES. Please do post the results here in either case. Hello sir! I am currently pursuing my cdac score…..my 10,12,BE is throughout 60% but my end module score is 162.Will I get enough calls?Also I want to ask that my currnet end module score is 133(two backlogs…..162 score is IF i clear two backlogs),if i am unable to clear my backlogs what will they do?can i sit in placements? You will be given second chance for clearing backlogs, most of the times people are able to clear them in second chance only, You need to get at least 170 for getting good calls from companies. Basis your academics also, you will get calls for interviews. Is it possible to get placed after 5 years gap? Within this 5 years I have nearly 1 year relavent working experience. Yes, it's possible, you need to work very hard, learn all the concepts and pretend as if you have a experience of 5 years, if possible get some company experience letter, or you should tell that you were preparing for higher studies, and we're into teaching profession, just don't say that you were sitting idle and doing nothing. At the end of the day, if you are able to answer their questions and they are satisfied that you can work for them, you will get placed. I got 153 rank and cdac acts pune.. I have one year of gap after 12th due to health issues and completed my BE in 2016… I have 91.53% in 10th , 70% in 12th and 68% in BE… I am now worried about my gap… I am ready to work hard and give my best … will I be placed in a good company or the gap will affect my placement??? Sir can u please tell me how is the placement for DMC at Sunbeam Pune I.e. upto what % placement takes place. As I told u before my rank is 4433. Hello, I am B.Tech(I.T.) 2011 pass out.I have 4 years of experience in teaching and I am having no experience proof of last 2 years though i was working in schools on and off. I got 1500 rank in c-cat exam and have allocated VITA Mumbai in first counselling. I am still unsure of joining the course since I have no relevant experience. What are the future possibilities for me? Kindly guide. I have 4 years experience of teaching in an engineering college. Very strong academics, GAP will not impact ur placements,…. Gain knowledge, present urself confidently in interview..
DMC students do get placed, but a bit late, placement percentage is around 70 percent, if you have knowledge, u will get placed..
Hello sir, I am currently pursuing DAC from CDAC Pune. It's just the 1st month of the course. The placements will begin 5 months. I wanted to ask you about the technicalities of the final Central Placement exam like the difficulty level of the exam, main subjects in the exam, total marks, subject wise marks etc. And what is considered a good score in the final exam ? Also how you prepared, best resources etc. I have 4 years of experience in ERP support project. Now after having 4 years of exp in support, I want to explore the Big data technology. Hi I want to DVLSI, which get conducted in CDAC, Pune and TICA, Mumbai. Is TICA, Mumbai is good center, I have friends who have done their course from TICA and now they are working in Synopsys, Truechip, Xilinx and Quolcomm, but I never heard any positive reply about TICA from any blog other than these my friends, why so?. Is it not a good center, is study is not good here, I am confused kindly help? Hi, TICA mumbai is not that good as far as trainers are concerned, But at the same time they do provide good placement assistance, So, If you yourself can work hard, Join this center. My academics are 10th(2007)-72.92%, 12th(2009)-74.5%, B.E Computer(2017)-64.2%. BUT, I have a gap of 4 years between 12th and B.E because I enrolled for electronics engg in 2009 which did not interest me at all and I failed miserably. So, I took readmission for computer engg in 2013. I have secured 1536(A+B) rank in December 2017 CCAT. I am about to join DAC course for feb batch in Pune(probably IACSD). Will I get enough placement calls? How should I justify my gap? I am 2013 graduate in cse stream. And having 2.8 year of experience in networking domain. Will i get opportunity in ccnp if i join Aug 2018 batch for pg dac or ditiss in cdac Pune region centre. Hi, Myself Vinay, I did my graduation in 2009 & M.Tech in 2011 (Computer Science & Engg), Immediately i joined teaching field after M.Tech. Now i have total 7 years of teaching experience.Planning to join IT field after doing CDAC. ,My academics are SSC:74, HSC:45, BE:57 & MTech 7.54. Is it fine for me to switch in IT.Can i get calls after doing CDAC? What is scope for me. Iam no more interested to do job in teaching so.. I have seen people getting many calls, that were similar to your case, But you will have to really work hard in order to get calls, Also, keep your teaching option open, In case you dont get any job, you can come back to teaching, Because what I believe there no better profession then teaching and shaping the future of students.. Thanks Sonali…can u suggest me which CDAC course is better for me..PGDAC/PGDBA or any other..the profession where i am working is insecure.. i couldn't take financial risk while working in this field because of irregularity of salary..
Hiii…i am manali..i got 4909 rank in cdac entrance exam.. So its possible to get good center at pune . I'm Shivam Bagi from Maharashtra. I'm a Mechanical Engineering Graduate from 2018. My Engineering aggregate is 66.2 %.I wanted to do DAC course. Being a mechanical engineering graduate will I find it hard for placements?